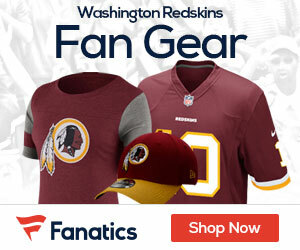 « Who Wins Sunday’s Redskins-Panthers Battle? Redskins free safety Oshiomogho Atogwe missed his second straight day of practice yesterday (Thursday), and his chances to play in this Sunday’s upcoming game against the Carolina Panthers seem ‘questionable,’ at best. Free safety Oshiomogho Atogwe did not practice for a second straight day because of a knee injury suffered in the loss to Philadelphia on Sunday. Atogwe said he hurt his knee in the first quarter, but continued to play. Atogwe told the assembled media that he wants to play in Sunday’s game, but did admit that even he didn’t know if that would be possible. Keim also indicated that Kareem Moore would likely not be taking Atogwe’s place on Sunday, if the latter isn’t able to go, as Moore is still on the physically unable to perform (PUP) list. So, Reed Doughty would likely take Atogwe’s place.